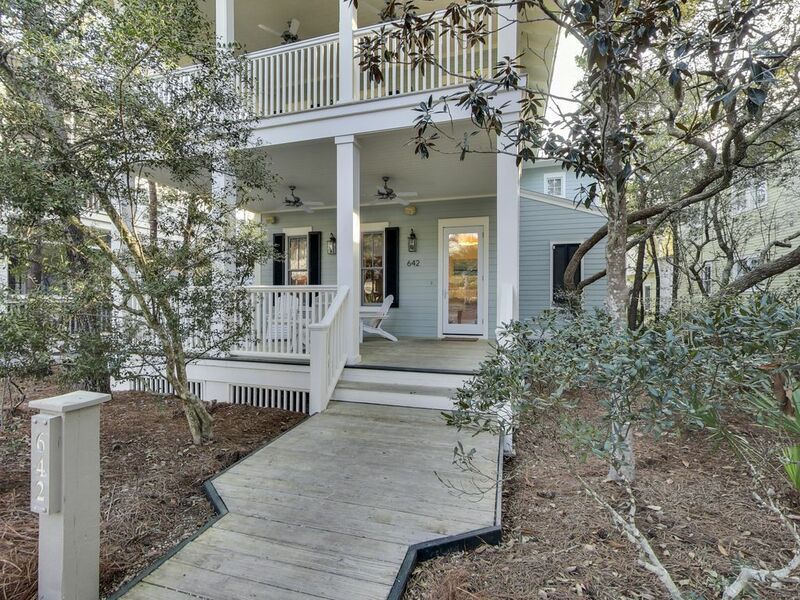 Perfectly Located, Beautifully Decorated 30A FL WaterColor House with 4 Bikes! 6) Saturday to Saturday requirement from May 26th - August 11th. 7) CONSTRUCTION for the WaterColor Beach Club expansion is anticipated to begin on September 4, 2018 and will not be completed until Summer Season begins on May 23, 2019. The completion date is only an estimated date, due to delays in construction can occur. 8) CONSTRUCTION for the Camp WaterColor Pool expansion is currently underway and is anticipated to be open for Spring Break Season 2019. This house is located in the Park District and is close to the beach, a couple of pools, dining and shopping. The house is very well maintained and roomy! I loved having 2 masters (one downstairs for my parents) and one upstairs for me and my husband. Plus the 2 extra rooms for the kiddos. I loved that the house came with bikes for exploring the resort and that this community allows golf cart rentals (not all communities along 30a allow rentals). We loved this house and the resort! We will stay here again next year! We spent Thanksgiving week at 642 Western Lakes and everything was great. We loved the layout of the home and all the amenities. Four spacious porches, large kitchen and very nice bedrooms. We had 5 adults and an infant and were very pleased with our choice. Parking was adequate and its a simple, few minute walk into Watercolor or Seaside and the beaches. A newer Publix grocery store is very close by as well making everything very convenient. We did have a couple small issues that we brought up to Jessica and they were addressed immediately. We would highly recommend this location and we'll be back. Facility and management team were great. My husband and I took our two daughters and their husbands and our two year old grandson. The house was a perfect fit for all of us. Everyone loved all the pools, shopping and restaurants. Great place for a family vacation for all ages! We all agreed that we will be back! Our stay was great!!! The home is really clean and has a wonderful layout with a great master on main and a great master on 2nd floor. It was great for my parents since they did not have to climb stairs!!! House was not n a great location - 3 minute bike ride to beach & to Sea Side! This house was perfect for our annual summer vacation to Watercolor. The house and kitchen was stocked with every need. The porches were a great place to enjoy relaxing with family and friends. The walk to the beach was an easy 2 minute stroll and being next to Seaside was perfect for our group.